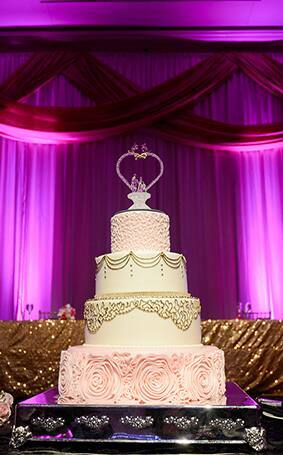 Fall in love all over again with today's Wedding Cake Wednesday. Dreamy blush pink and gold accents create the perfect palette and centerpiece for a gorgeously gilded reception. 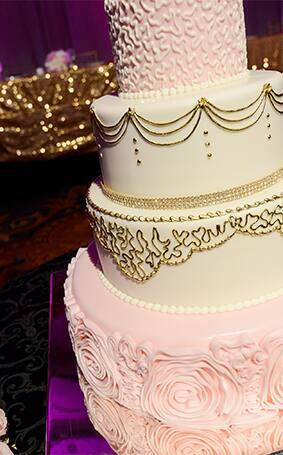 If I do say so myself, this beautiful treat is (almost) too pretty to cut into!